Kakiemon Porcelain from Menno Fitski has gone down in price from € 69,95 to € 39,95. The book provides a comprehensive overview of Japanese and European sources and collections, giving a fresh perspective on Kakiemon to anyone interested in studying pieces in collections worldwide. The book contains over 300 colour images, many from the extensive collection of the Rijksmuseum in Amsterdam, and offers a wealth of detail to illustrate stylistic points. 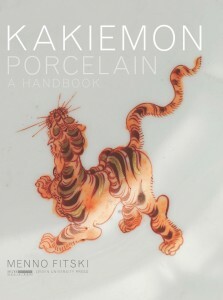 Kakiemon Porcelain: A Handbook presents all the practical tools necessary for the attribution and dating of Kakiemon porcelain. The Kakiemon style and characteristics are exhaustively analysed against the background of trade and reception developments. This book is a must if you are planning a visit to the Rijksmuseum for the exhibition “Asia > Amsterdam. Luxury in the Golden Age“, and for all Kakiemon collectors, professionals and enthusiasts alike.